KIEV, April 9. /TASS/. 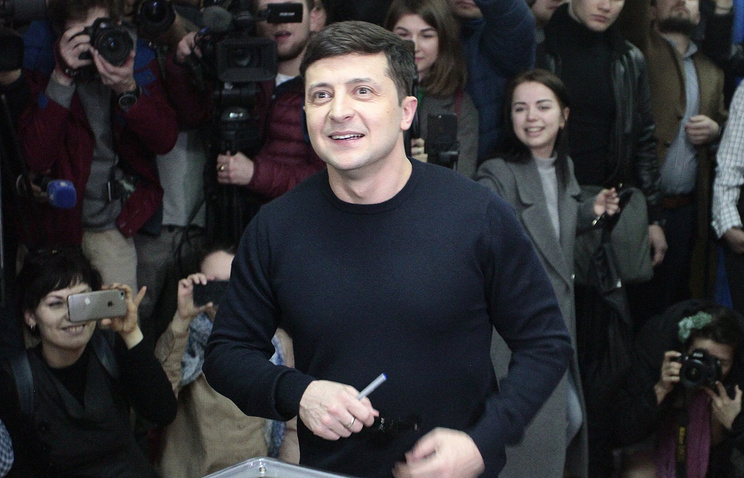 Ukrainians have sent in more than 10,000 questions to the headquarters of the front-running presidential contender Vladimir Zelensky to be posed to incumbent President Pyotr Poroshenko during the upcoming debate, Zelensky’s team reported on its official Telegram channel on Tuesday. The most pressing issues for Ukrainians are the war in Donbass, the fight against widespread corruption and dire poverty. "Why has Poroshenko’s wealth swelled 90-fold over the past five years, while people can hardly make ends meet? When will Poroshenko end the hostilities in the Donetsk Region? When will corrupt officials go to jail?" Ukrainians repeatedly post these questions on the Zelensky team’s website.